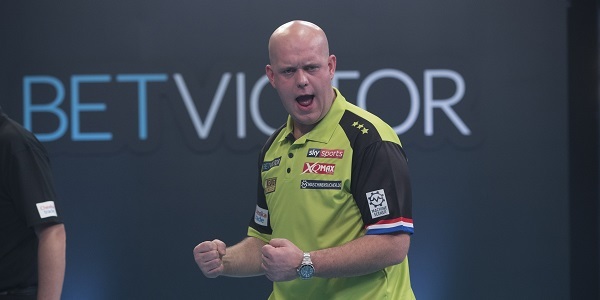 MICHAEL VAN GERWEN claimed an incredible fifth successive triumph at the BetVictor Masters with an 11-5 win over James Wade in Sunday's final in Milton Keynes. 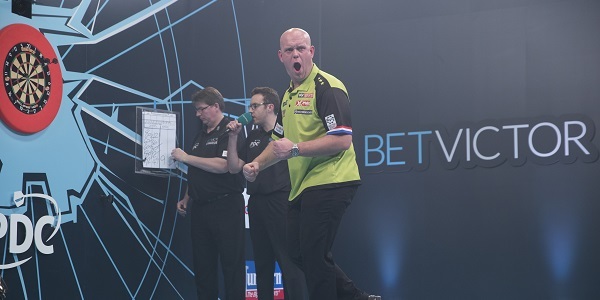 The Dutchman is now unbeaten in 20 matches since the tournament's move to the Marshall Arena in 2015, having swept through the world's top 16 to take the £60,000 top prize. 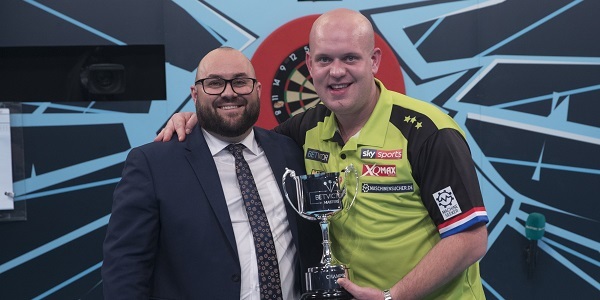 On his return to action following victory in the World Championship final on New Year's Day, Van Gerwen had seen off Jonny Clayton to begin his challenge on Friday. He then overcame Mensur Suljovic 10-5 in Sunday afternoon's quarter-finals and landed finishes of 170 and 141 in an 11-7 semi-final defeat of Dave Chisnall. 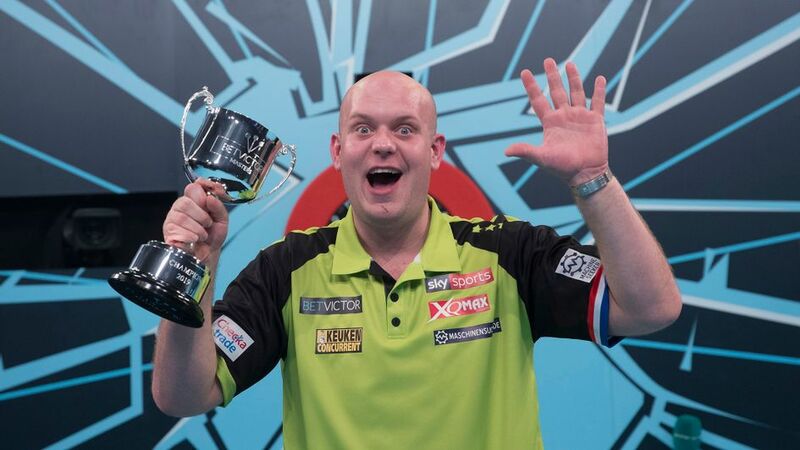 Van Gerwen fired in another maximum 170 checkout during the final as he denied 2014 champion Wade a second Masters title. "I'm really pleased," said Van Gerwen. "It's a great venue for me and this is a tournament I love, so I'm delighted. "I didn't play phenomenally in this tournament and there's more in the tank, but I'm hoping this is going to be the start of another good year. "The tour gets more difficult every year and I'm trying to get better all the time. You want to be strong here to start the year well and give yourself confidence, and I've done that." He added: "James did well to reach the final. He deserves a lot of credit because I think a lot of people underestimate him." The pair shared the opening six legs, but Van Gerwen landed his second 124 finish of the game as he claimed four straight legs to move 7-3 up. An 11-darter saw Wade hit back as he claimed two of the next three, but Van Gerwen pounced with a 70 finish to move 10-5 up before sealing glory on double eight. Wade's run to the final saw him follow up Saturday's defeat of Gerwyn Price with a comeback from 4-0 down to defeat Joe Cullen in the quarter-finals. 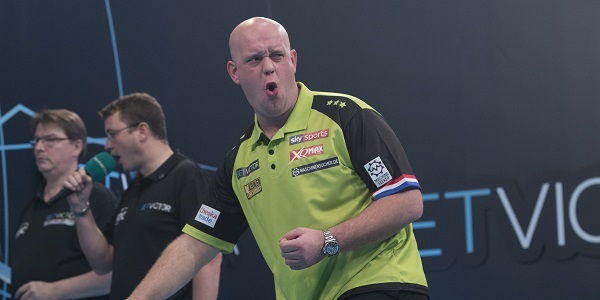 He also battled back from 9-7 down in the semis against Peter Wright to claim an 11-9 victory, but was unable to claim a third TV title inside four months as Van Gerwen proved too strong in the decider. "I take my hat off to Michael - he did the job and was quality," said Wade. "He gave me so many opportunities and I played really poorly in the final. "There's still a lot more to come from me. I've got to the final and that shows what I've got to come." Chisnall landed ten 180s in his superb 10-4 win over Stephen Bunting in the quarter-finals, while Wright was a 10-6 winner against World Championship finalist Michael Smith in the last eight. 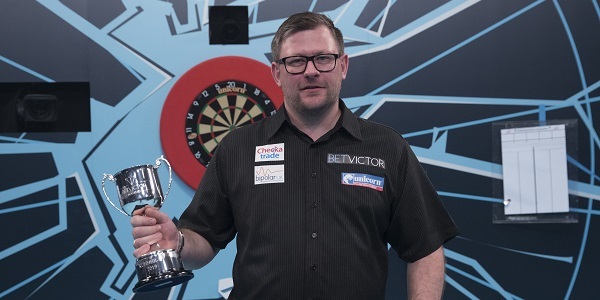 Following the completion of the BetVictor Masters, focus now turns to the Unibet Premier League ahead of Thursday's opening night in Newcastle. 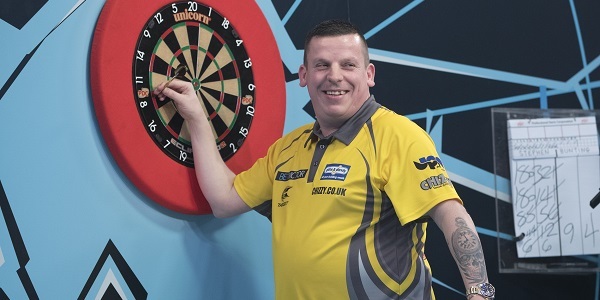 Dave Chisnall's bid to reach a second BetVictor Masters final continued with a superb ten 180s and a 99 average in his 10-4 defeat of Stephen Bunting. Chisnall opened the game's first three legs with maximums and led 6-1 following a blistering start, with Bunting requiring a 14-dart finish - aided by a 177 - just to claim a leg. Bunting cut the gap to 6-4 with back-to-back 104 checkouts, but Chisnall followed a 171 score with a two-dart 94 finish to restore breaking space before reeling off the next three legs to seal a semi-final spot. Chisnall now plays reigning champion Michael van Gerwen, who was a 10-5 winner against Mensur Suljovic to remain in the hunt for a fifth successive Masters title. Van Gerwen took an early 3-1 lead and also landed an 11-darter in moving 4-2 up, before punishing Suljovic for missing a chance to level in leg eight. The Dutchman opened up a three-leg cushion at 6-3, with Suljovic responding with a 161 finish as he cut the gap to one leg, only for Van Gerwen to pull clear with four in a row to progress. 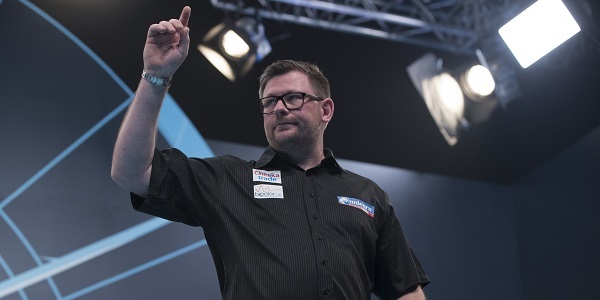 James Wade's bid to add to his 2014 Masters title saw him come from 4-0 down to claim a high-quality 10-6 win over Joe Cullen. A superb start from Masters debutant Cullen saw him storm through the opening three legs without Wade having a dart at a double, before also stepping in to win the fourth. A brace of tops finishes saw the left-hander reply, and he also landed double ten before a brilliant 140 checkout levelled the contest. Wade then finished double ten and a pair of 81 checkouts to move 7-4 up as his surge continued. Cullen took two legs to pull back to 7-6, but he crucially saw a chance to level in leg 14 slip away as Wade edged clear before completing the win with a 101 checkout. Peter Wright won through to his first Masters semi-final by seeing off World Championship finalist Michael Smith 10-6 in the fourth contest of the afternoon session. The opening eight legs were shared before Wright secured a key break, with a 101 finish moving him 6-4 up. Smith responded with a 98 finish and a 12-darter as he remained in the hunt at 7-6, but Wright took out 64, broke again on double ten and then finished 118 as he completed the semi-final line-up. Michael van Gerwen continued his dominance over Dave Chisnall with an 11-6 win in their semi-final clash, repeating the scoreline of their 2016 Masters final in Milton Keynes. Chisnall took the opening leg, but that would prove to be the only time he would lead during the contest, with Van Gerwen taking three successive legs to move 3-1 up before finishing 170 and 141 in taking a 6-2 advantage. Chisnall hit back to 6-4, but Van Gerwen won the next three to restore breathing space and punished missed doubles from the St Helens ace before sealing his place in the final with a ten-darter. 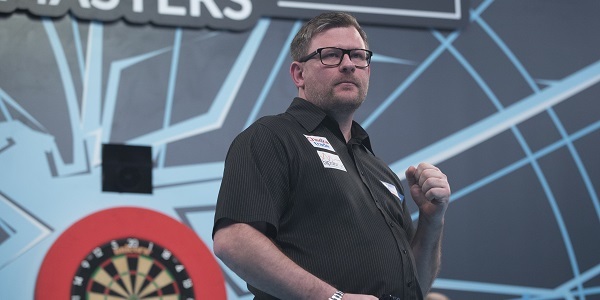 James Wade set up a final between two former Masters winners by edging past Peter Wright with an 11-9 victory from their last four contest. 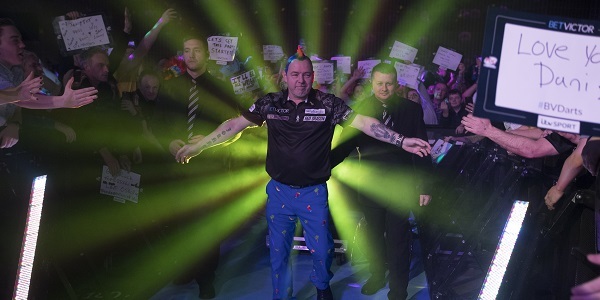 Wright began the game with an 11-darter, only to see Wade move 4-2 up in the tense early stages, with the Scot hitting back to level after 12 legs. Wade moved 7-6 up with a 13-darter, only for Wright to fire in a 100 finish as he took three in a row for a 9-8 lead. Wade, though, hit back to level once more, finished 104 to go 10-9 up after Wright missed the bull and punished a further missed double to close out the win on double ten.